CINCINNATI -- Attorneys for a Newtown landscaping company, its well-known owner and another employee argued Tuesday that all charges should be dropped because federal prosecutors overreached and no crime was actually committed. “We’ve kind of gone crazy calling everything fraud … everything is not fraud,” Doug Evans’ attorney, Ben Dusing, said. 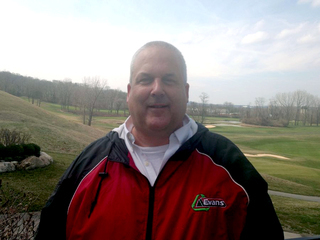 Prosecutors accuse Evans, who built a landscaping empire from a humble beginning, of using a front company to win minority and small-business contracts from the city of Cincinnati and the state. The high-profile case has attracted attention since FBI agents in unmarked cars arrived at Evans Landscaping in July 2015 and carried away boxes of evidence. Prosecutors spent two years building their case against Evans, who is Newtown’s largest land owner and founder of a company that employs more than 300. Evans did not attend the 90-minute hearing in U.S. District Court, but the company’s vice president of operations, Jim Bailey, did. Evans Landscaping owner Doug Evans faces up to 103 years in prison if convicted. Now it’s up to U.S. District Judge Michael Barrett to decide if the charges that could send Evans and Bailey to prison for up to 103 years will go before a jury or be dismissed. A decision is expected in the next few weeks. But defense attorneys insist this case is a novel, tricky use of the law that is ripe for appeal, however Barrett decides. Prosecutors allege that Evans and an IT employee, Korey Jordan, created a new company, Ergon Site Construction, in 2008 to act as a front for Evans to win minority and small-business contracts for demolishing houses, public schools and other projects. But defense attorneys say the charges cannot stand because nobody was actually harmed in this case. The work that the city of Cincinnati contracted was performed and the "victims" have lost nothing, Dusing said. “There may be social policy harm,” but no economic harm, argued Bailey’s attorney, Eric Eckes. Assistant U.S. Attorney Tim Magnan said the whole purpose of the city’s disadvantaged business enterprise program is to develop a broader base of contractors from small and minority companies. Defense attorneys say it is up to the city to punish contractors when they don’t follow the rules by taking away their certification or through other penalties. "He was trying to do a nice thing," said Dusing, who successfully defended Kenwood Towne Place developer Matt Daniels against fraud charges in 2013. Also at issue is whether Evans and Bailey should go to trial together, as federal prosecutors want, or be tried separately. Barrett seemed to agree. “What happens in trial if they both testify and point fingers at each other?” Barrett asked. Attorneys for Bailey have not revealed what their defense will be at trial. But prosecutors say it won’t matter -- if both men decide to blame the other, it won’t wipe away either one’s guilt. The trial is for March and expected to last up to four weeks.